Rich serves a diverse and growing client base including regional apparel manufacturers, national and international general contractors and multinational utility companies. Richard W. Brown serves a diverse and growing client base including regional apparel manufacturers, national and international general contractors and multinational utility companies. 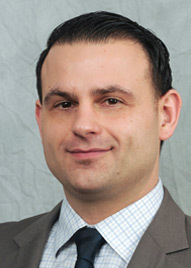 His practice focuses on complex commercial coverage disputes and litigation in state and federal courts, with an emphasis on the power and energy industry. He provides counsel on insurance recovery issues involving CGL, Builder's Risk, commercial property and additional insured claims. Prior to joining SDV, Rich was with the State & Local Tax Group of PriceWaterhouseCoopers, where he advised clients on issues such as sale and use tax compliance, fulfillment of state reporting requirements and legislative changes. He also served as corporate counsel at Franchise World Headquarters, international franchiser for SUBWAY® Restaurants, where he managed complex commercial litigation matters. This role required extensive interaction with regulatory agencies such as the Federal Trade Commission and the Department of Justice and allowed him to gain invaluable experience in negotiations and dispute resolution. In his spare time, Rich enjoys camping, fishing and softball and can oftentimes be found at Yankee Stadium cheering on his favorite team. He resides in Orange, Connecticut with his wife and their young son.